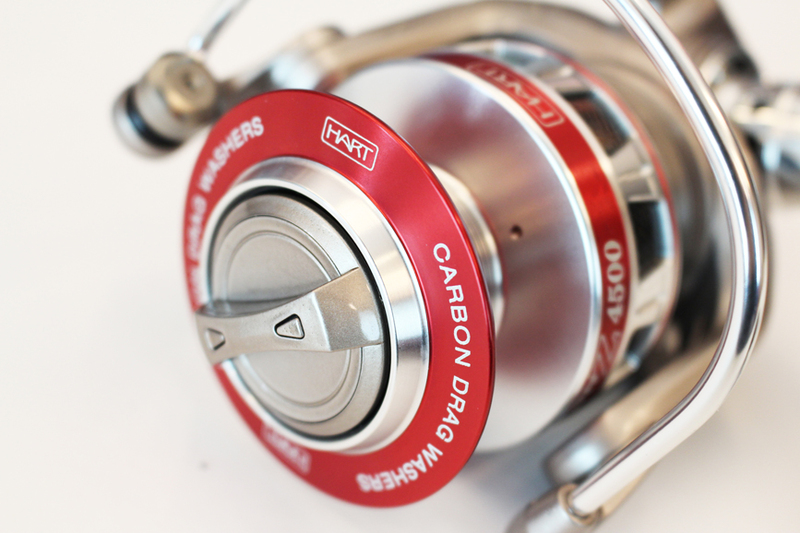 Becomes the flagship of Hart reels: the Custom Z · Specially designed for extreme fishing, entirely built in metal, with insertions and customized carbon · Body and rotor of aluminum, handle flat reinforced aluminum CNC and ergonomic EVA knob with inserts from carbon · Body sealing with machinery interior completely built in stainless steel. Pick up extra thick · Coil machined aluminium with inserts from carbon · 11 bearings, balls tight stainless steel 10 and one of anti-retro infinity of continuous operation. · Watertight multi-disk brake lubricated carbon and stainless steel with 30 kilos of power · External port of lubrication and the body locking screw sealed .